Directions: Apply liberally around the eyes, mouth and other wrinkle prone areas. Follow with moisturizer. surface skin until product is dry. 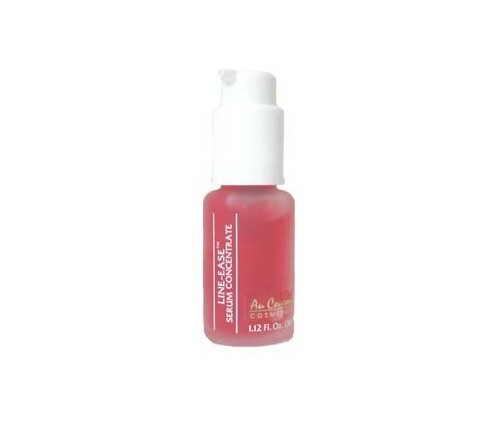 Line- Ease Serum Concentrate should be applied to skin before moisturizer at the end of the facial. Sweet Almond Extract: almond proteins help remodel skin's surface to visibly lift and smooth wrinkles and fine lines. Hibiscus Escluentus (Okra) Extract: Complex helps relax away lines and wrinkles from repetative facial movements and stress. Cyanocobalamin (Vitamin B 12) : Increase cell energy. Ergothioneine: A natural antioxidant amino acid that helps counteract damage from oxidant stress.